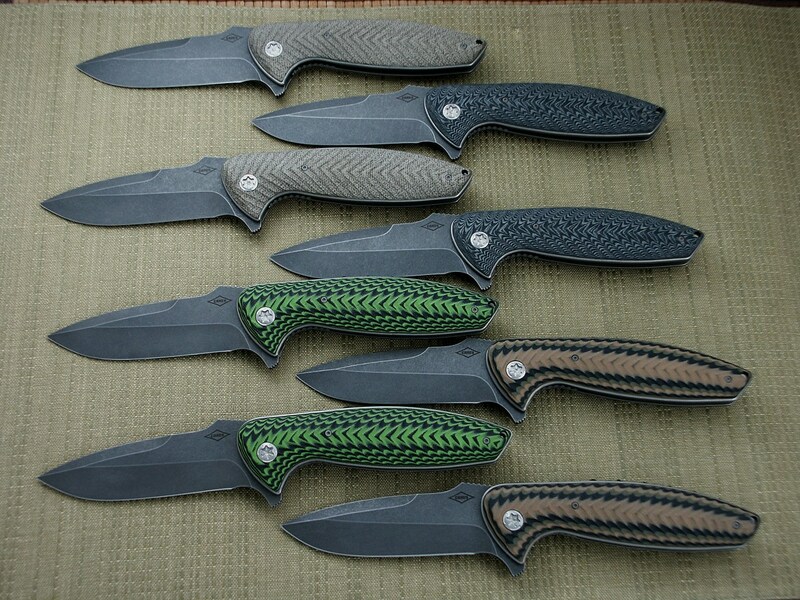 The knives I’m bringing the the Gathering. 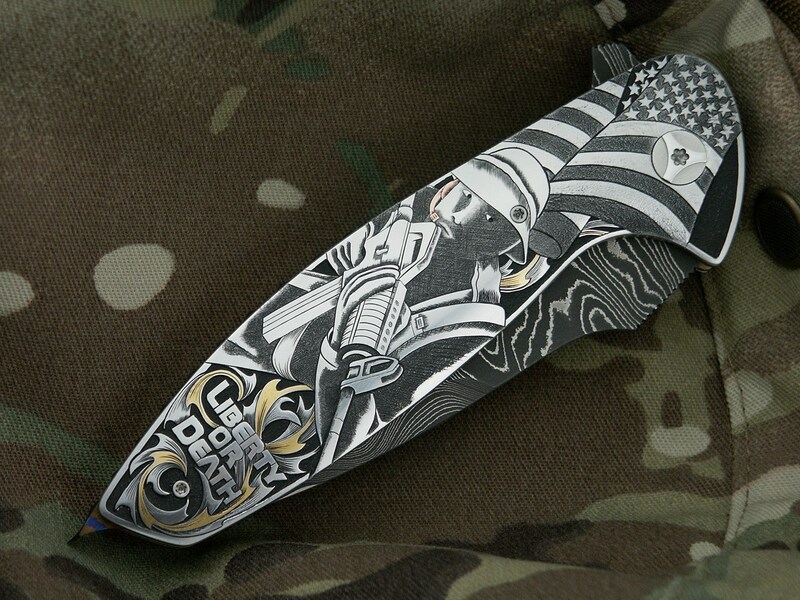 NITRO model engraved with Minuteman/Patriot theme by Jody Muller. 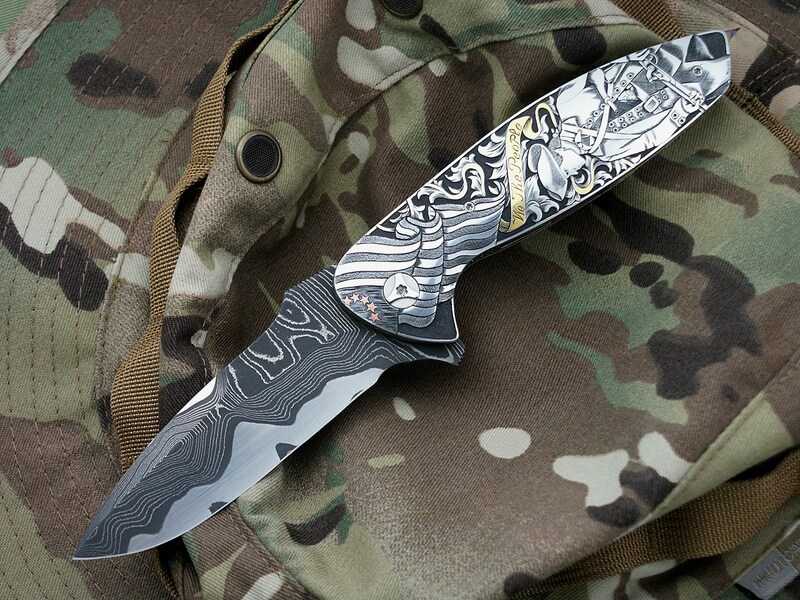 Blade: Chad Nichols 6K Stellite core Damascus steel, Titanium liners, Sculpted MokuTi rat tail back spacer, 410 stainless steel scales. 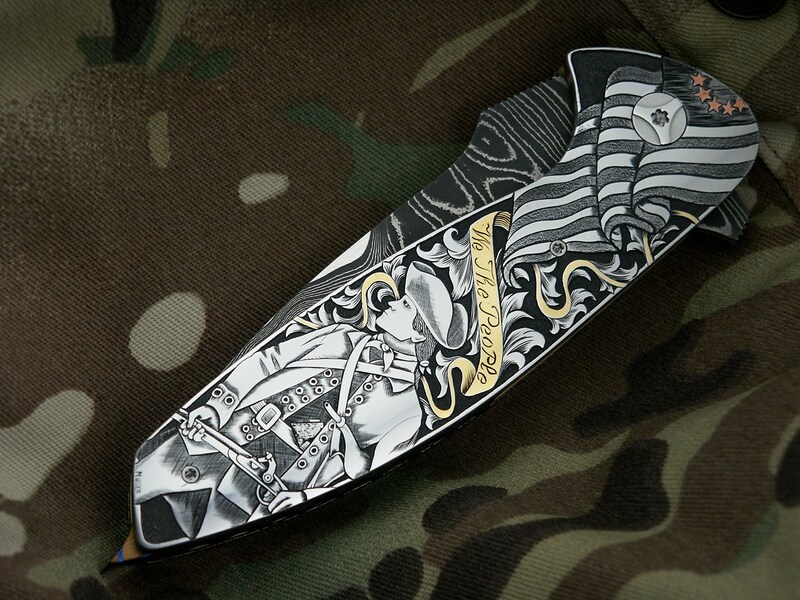 If you would like to stay anonymous, please email your bid to careyblade@gmail.com and I’ll add it for you. 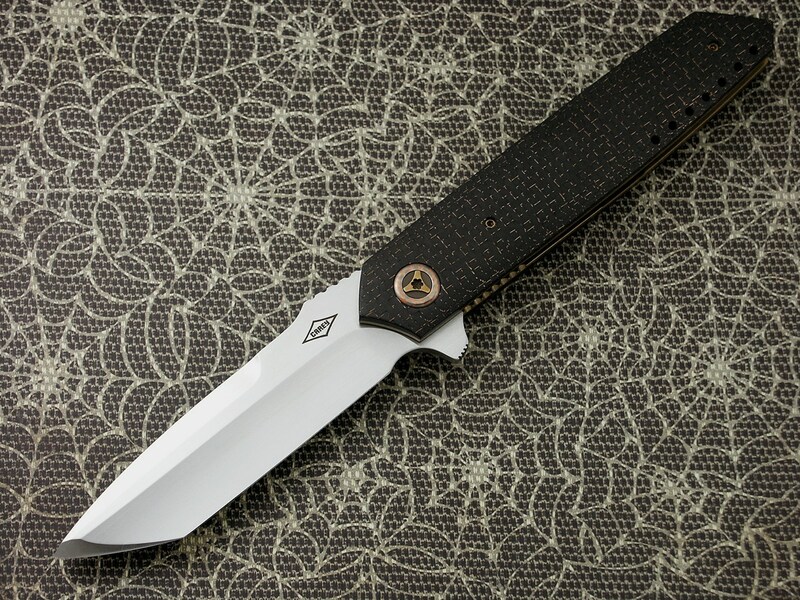 The Spyderco Rubicon won the “2014 Imported Knife Of The Year” award at the Blade show! 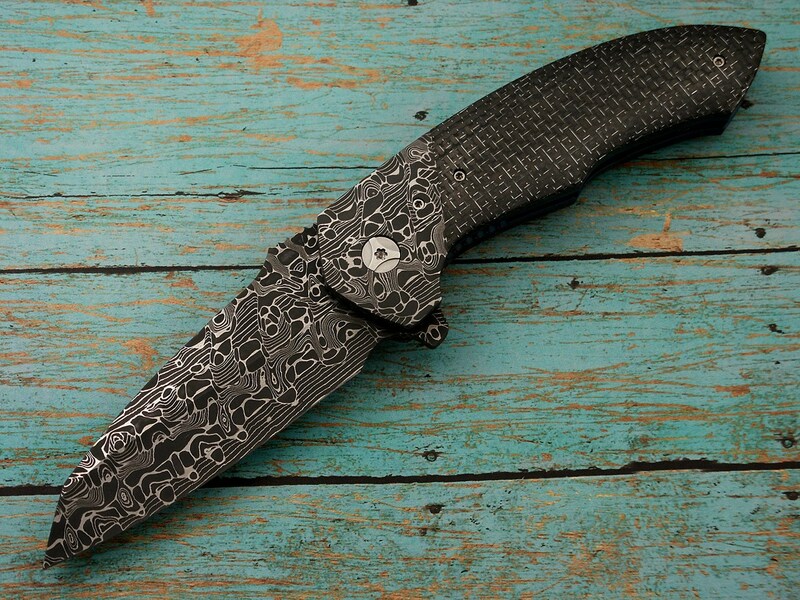 Engraving by Jody Muller, Chad Nichols Stellite 6K core Damascus blade, Carved MokuTi rat tail back spacer. 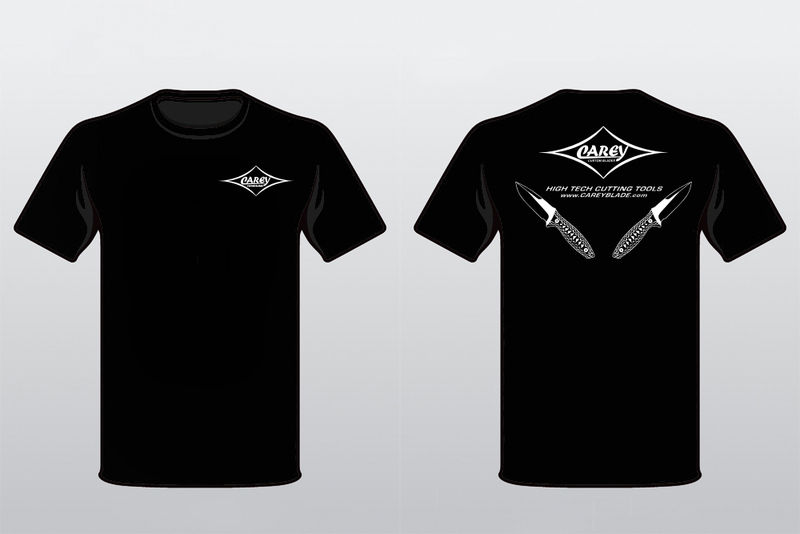 I’ll have this at Blade but it won’t be for sale at the show. 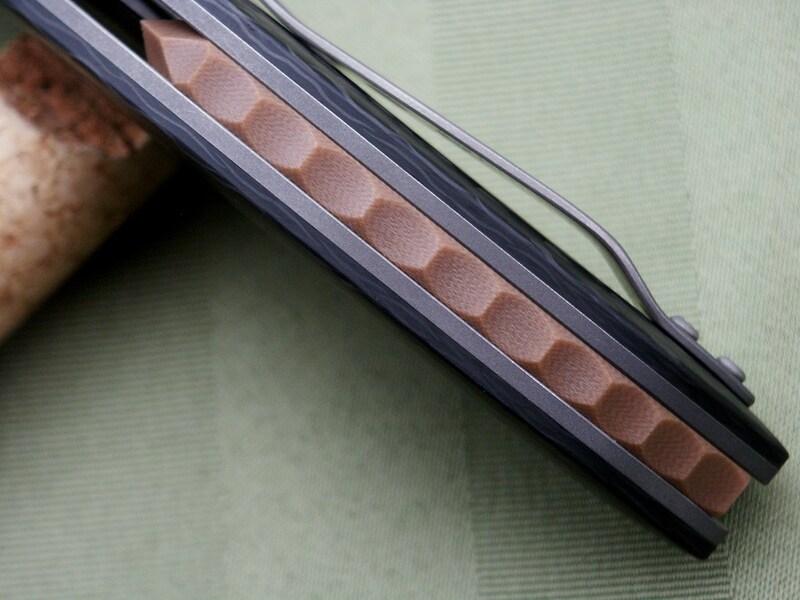 This is my Nitro 50/50 project. 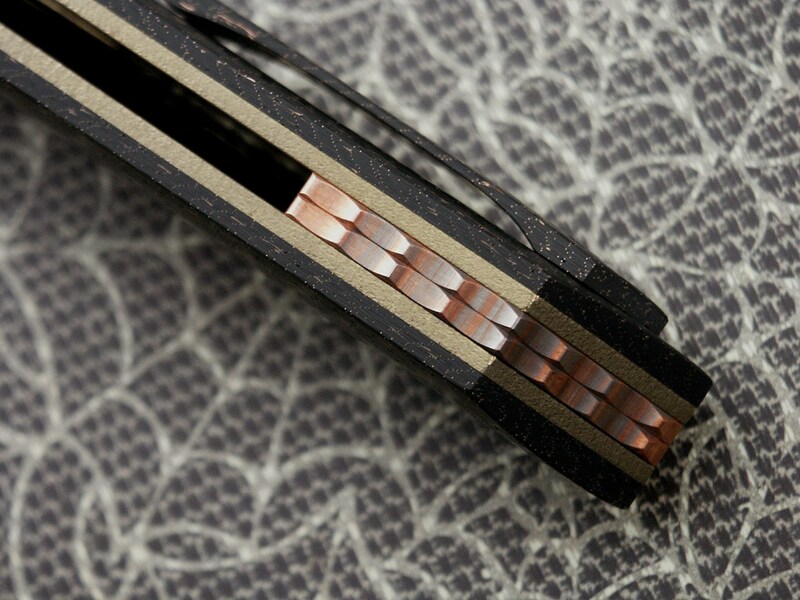 50% of the knife is manufactured by CNC milling machines at a friends shop in the USA (The liners, scales and back-spacer). 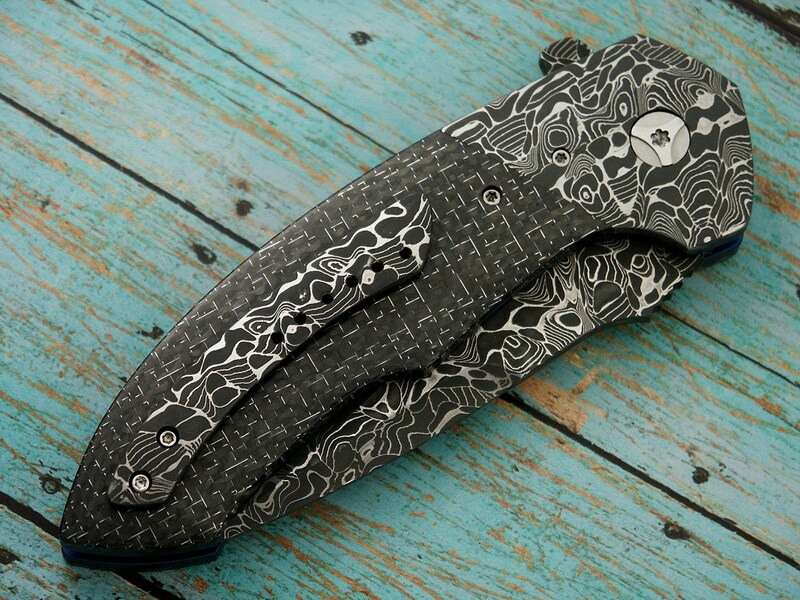 The other 50% is finished in my shop. 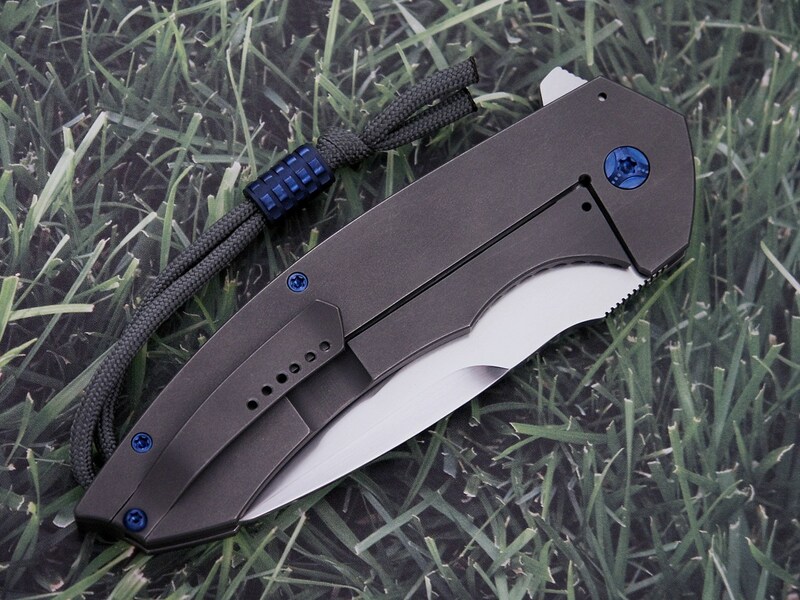 The blade bevels are ground by me, the blade thumb and flipper tab grooves are machined in my shop, lock and detent are fit by me and the pocket clips are made in my shop. 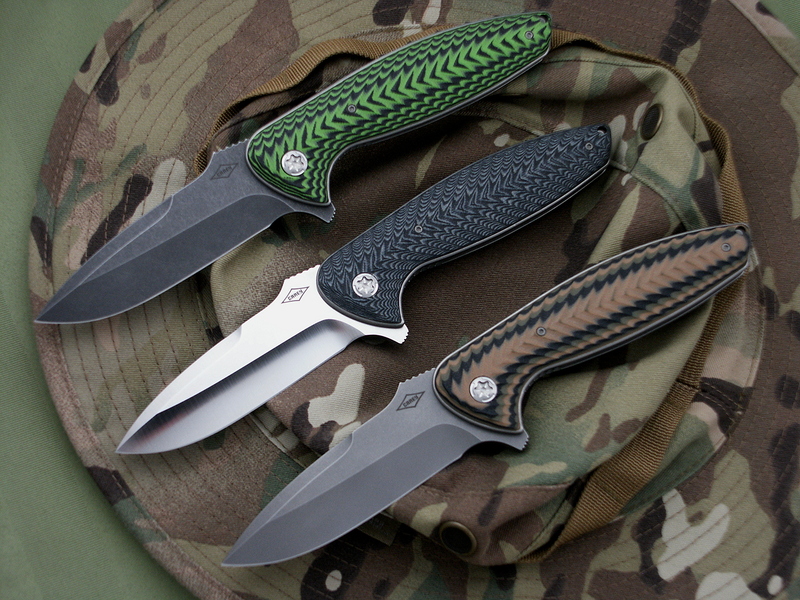 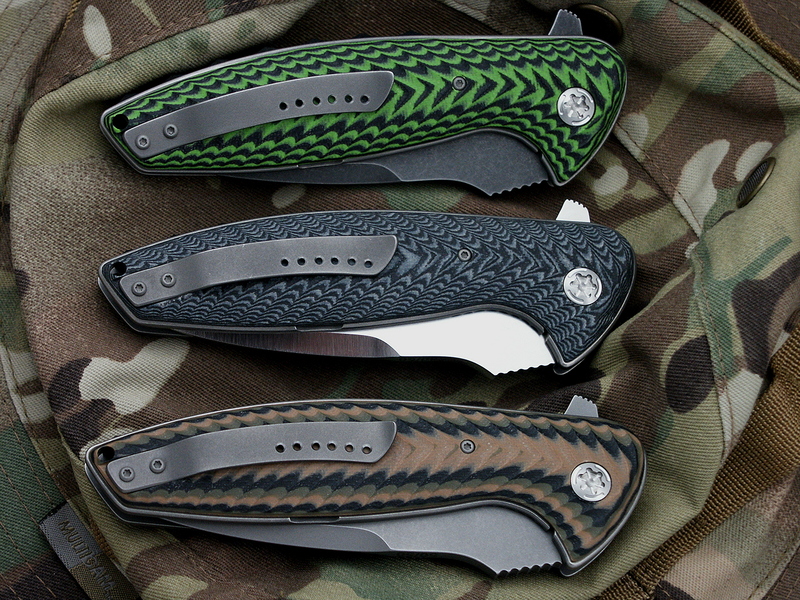 I’ll have some of these at the Blade show so stop by and check them out. 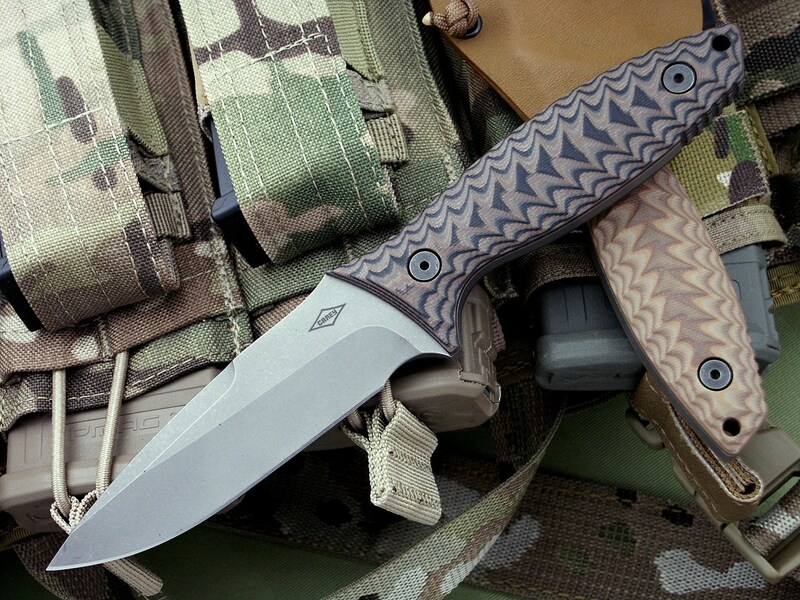 Specs: Custom 1/4″ SS hardened pivot, Titanium pocket clip, G10 or Micarta scales, Carved G10 back-spacer. 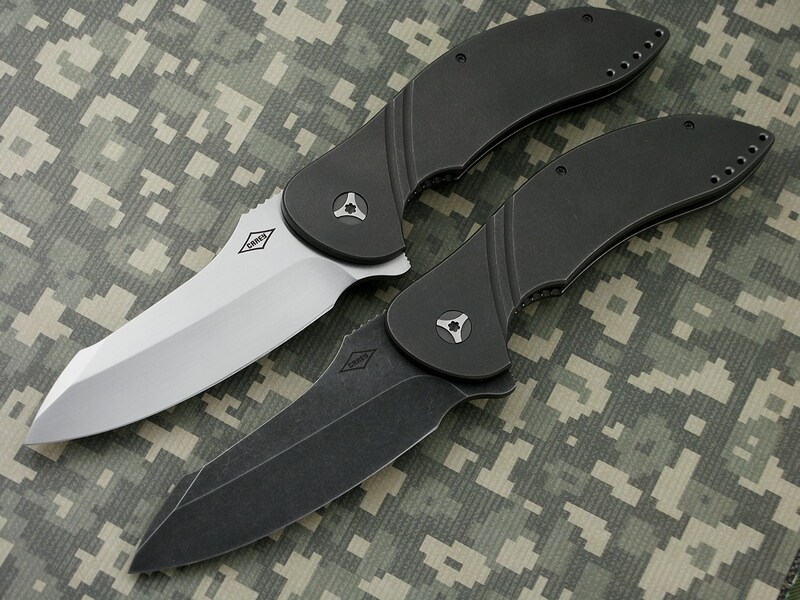 Blade: .165″ CPM154, 3.75″ long, Liners: .095″ thick 6AL-4V Titanium. 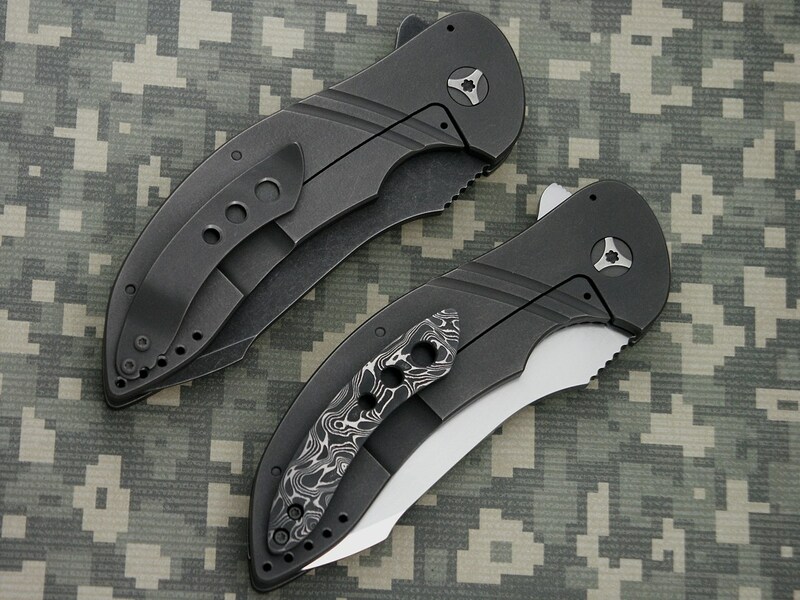 I recently sent this prototype to the great folks at Spyderco to see if they are willing to do another collaboration, I think this would make a nice addition to their line-up. 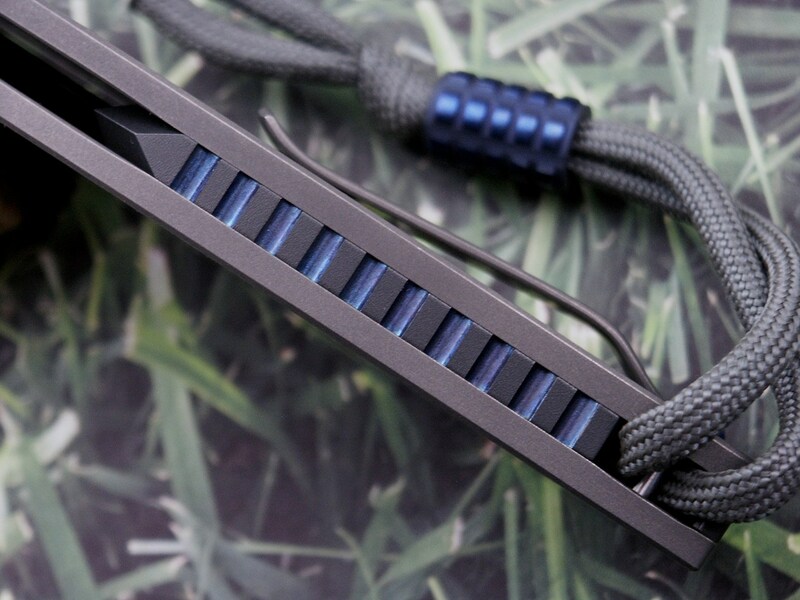 We have decided to call this model “Magnitude” since another manufacturer is already using my Tremor name. 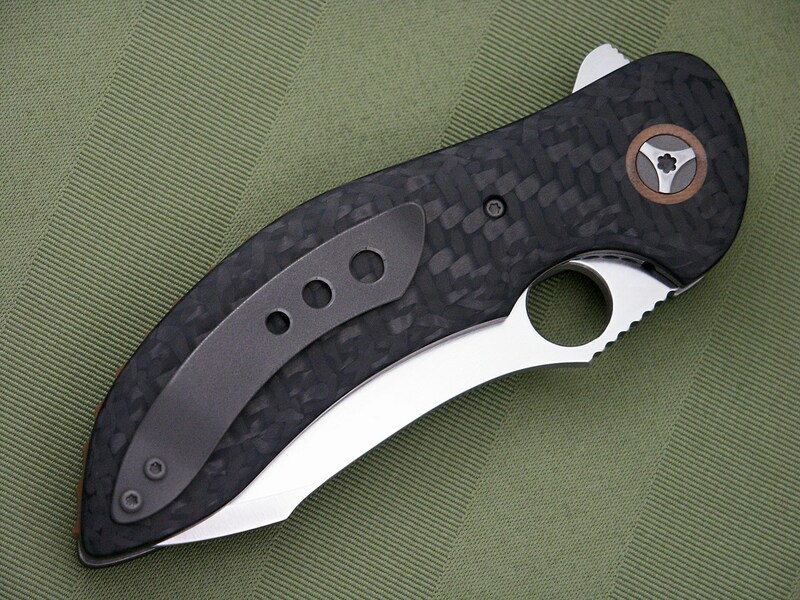 The Magnitude is a modified Tremor Gen 3 with the addition of the Spyderhole. 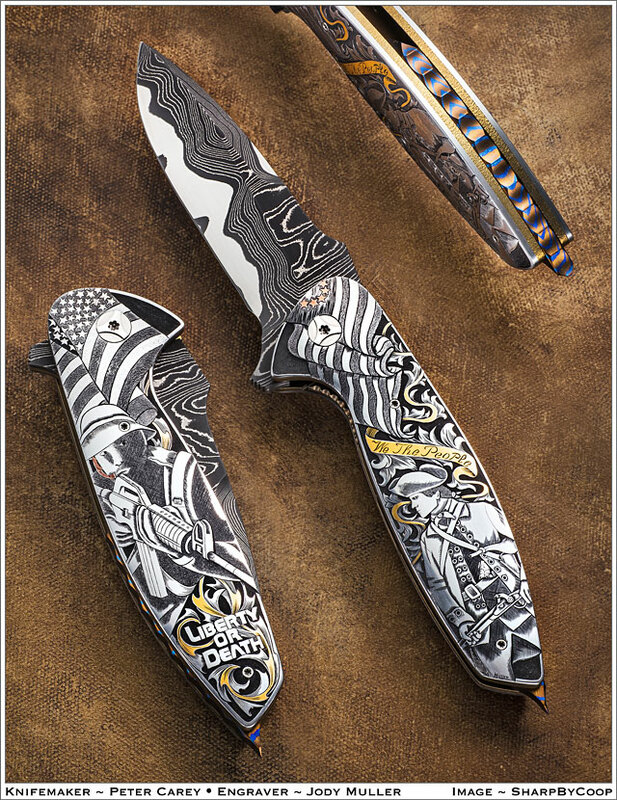 .170″ thick, 3.5″ long CPM154 blade, .090″ thick Titanium liners, 1/4″ SS pivot with caged bearings. 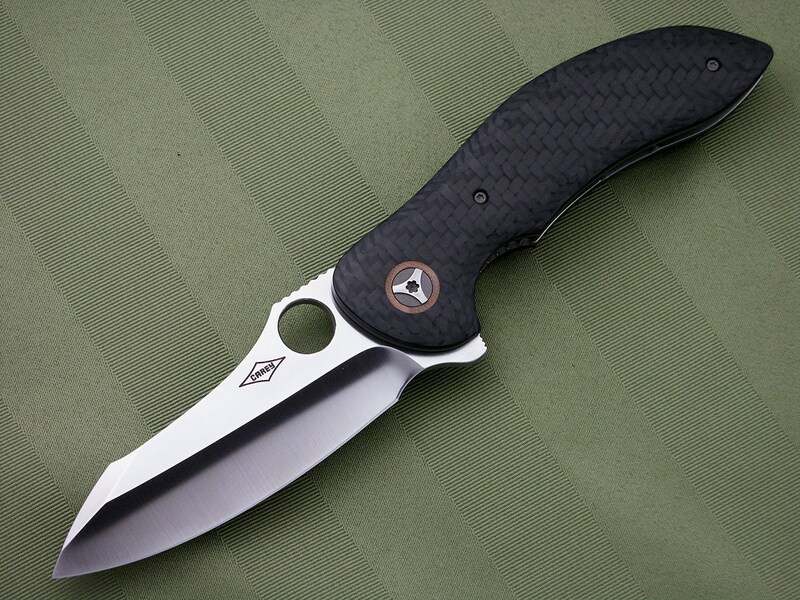 Coming in the near future, The Spyderco Rubicon. 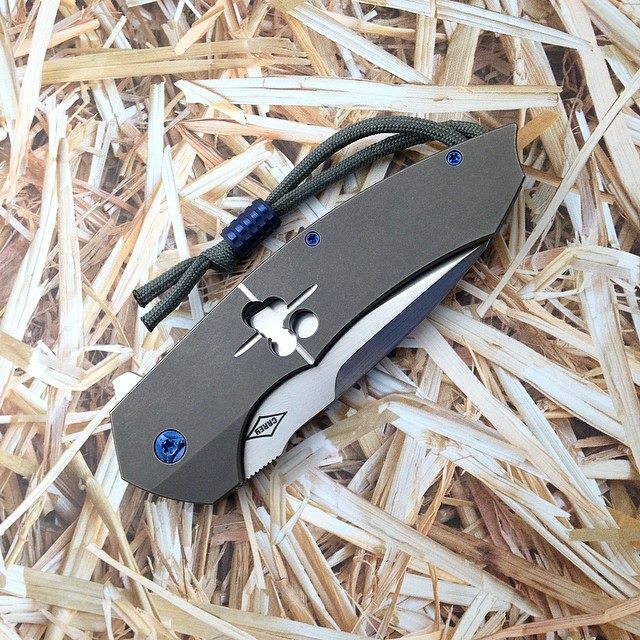 This is my Nitro FX Gen 3 fixed blade. 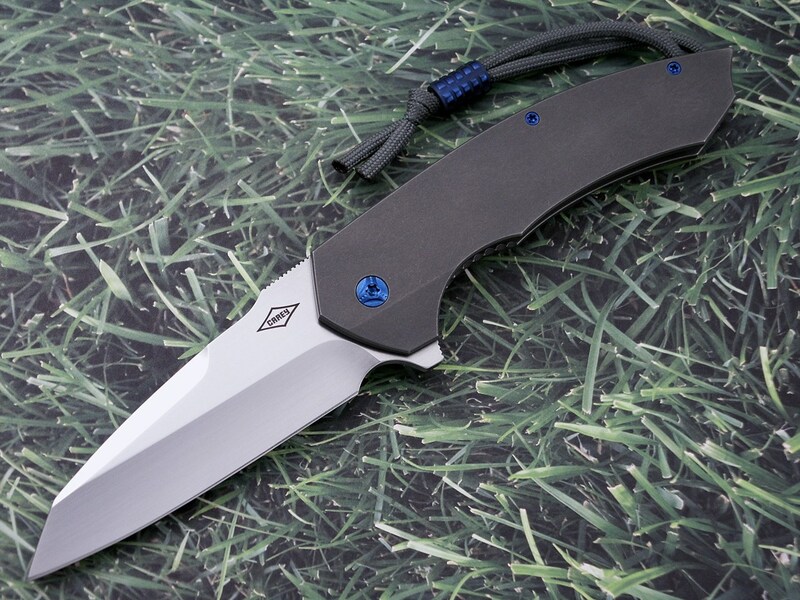 This is the 3rd generation of a knife I was making way before I started building folders. 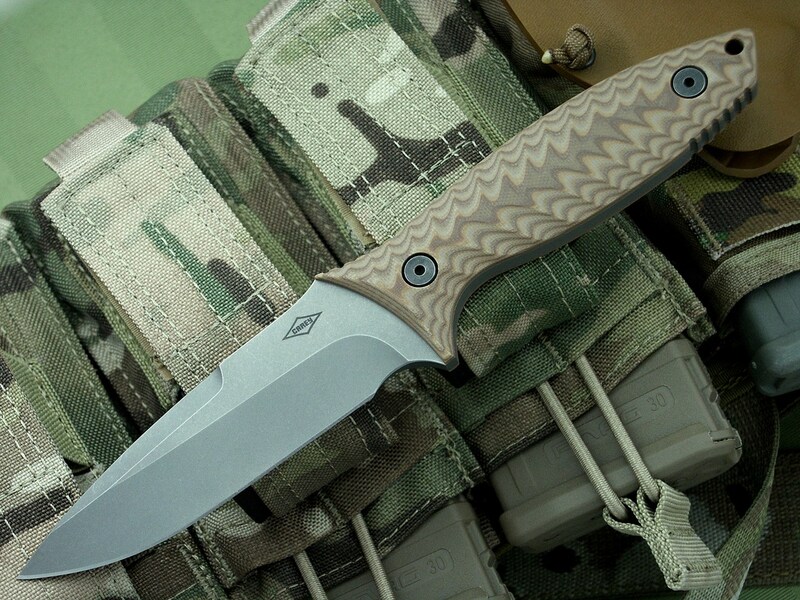 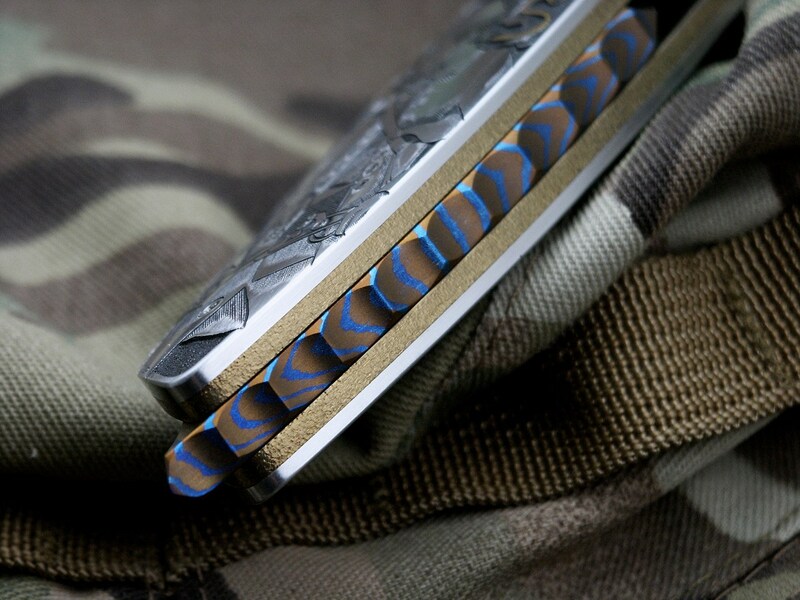 .212″ thick S35VN, 4.5″ long, 9.25″ OAL.